Sure native plants look great in your yard but the benefits of these indigenous inhabitants go far beyond aesthetics. Here are three great reasons you should give them a long look when working with your Yardzen designer on your plan. According to the Audubon Society, "[native plants] are the ecological basis upon which life depends, including birds and people. In addition to providing vital habitat for birds, many other species of wildlife benefits as well." Translation: Plant them and they will come. Native plants produce nectar loved by butterflies, bees and hummingbirds. Aside from there being little question if native plants will thrive in your yard -- given they have centuries of proof they can and will -- they require very little water and maintenance once established. 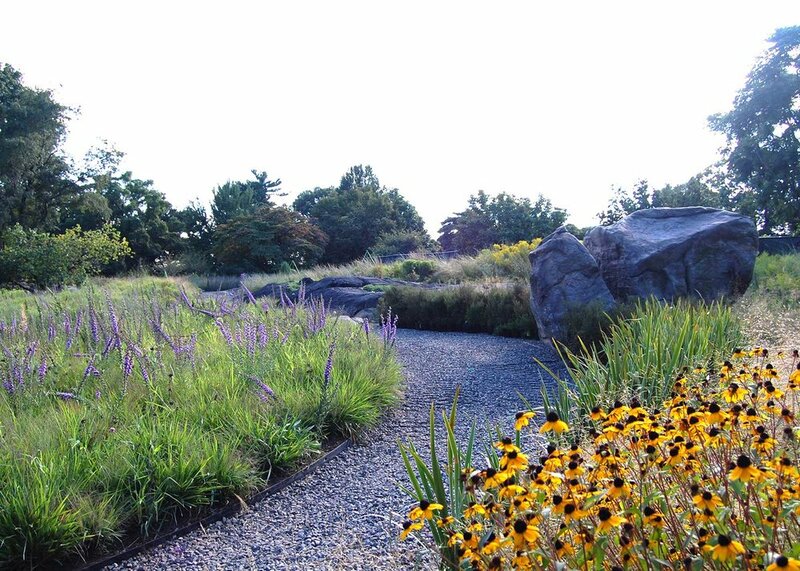 Again, from the Audubon Society: "Landscaping with native plants can combat climate change. In addition to the reduced noise and carbon pollution from lawn mower exhaust, many native plants, especially long-living trees like oaks and maples, are effective at storing the greenhouse gas carbon dioxide." Conclusion: Think not just about how your plant choices will look, but the impact they'll have. Because the impact can be big.